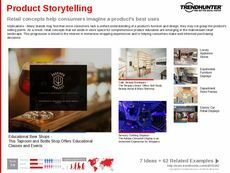 Find Better Ideas, Faster ® with a custom holiday retail trend report, our PRO Dashboard and 80+ categories of premium trend reports. 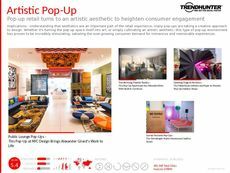 The Holiday Retail Trend Report showcases innovative retail design and marketing techniques to draw consumers in to brick and mortar locations during festive seasons. 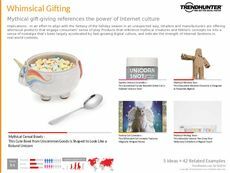 Holidays like Christmas are extremely important opportunities for brands to show off to consumers, attracting new markets and gaining the loyalty of the old. 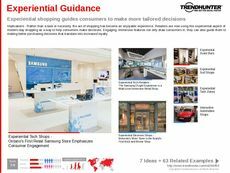 This report includes examples of physical store designs as well as integrated AR and VR experiences to immerse consumers in the holiday spirit and help campaign messages resonate with shoppers. 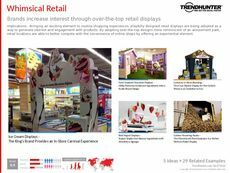 The report is a guide for retail display and window designers during the holiday season to create attractive and interactive visual designs to attract consumers. 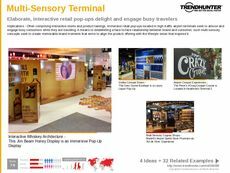 It also is great for retail managers and business executives to innovate ways to immerse shoppers into branded experiences that promote the festive experience. The Holiday Retail Trend Report outlines contemporary ways to attract shoppers to retail stores as destinations in themselves during the festive season, encouraging them to make purchases from there.